GREAT NEW PRICE! Charming Ranch home in a lake community! Private lot! 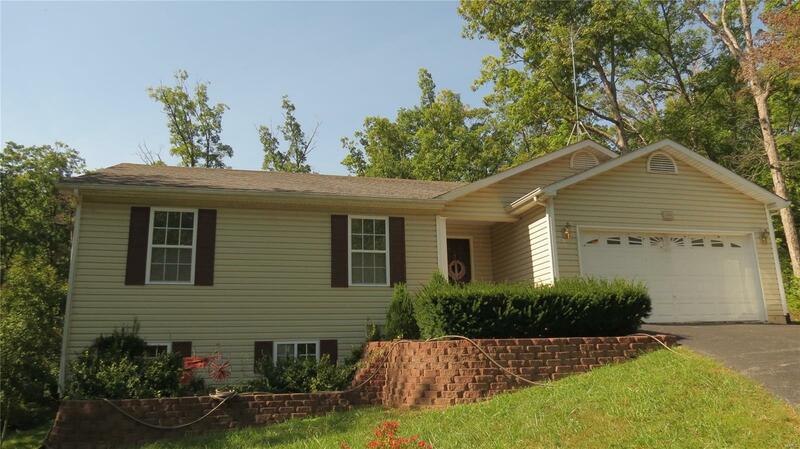 Freshly painted 3 bedroom, 2 bath ranch home with an open floor plan! Living Room has a fireplace and vaulted ceilings. Master bedroom suite is on the main floor and has a nice walk in closet! The Kitchen includes a center island with plenty of cabinets and the laundry room is right off the kitchen for easy access. Lower Level is a walk out to a patio area. Basement is not finished but has a rough in as well as large windows to finish another bedroom area! The lot goes to a creek on the side of the property, with the back yard being mostly level. This lot is 2.4 acres with some woods but is mostly open! Lot is on a Cul-de-sac so not much traffic! Access to the lake with boat launch and picnic area is right around the corner. Great place to have a family gathering or go fishing! Seller is motivated! Make your appointment to view today!! Note: There is no sign on the property! Numbers are on mailbox!